Includes images of the reception, banquet, and press conference. Includes images of the Progressive Conservative candidate’s speech, receptio negatives and conventio negatives at the Lord Nelso negatives Hotel. Item is a photograph of Franklin D. Roosevelt (1882-1945), President of the United States, 1933-1945. 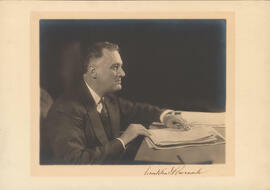 The photograph shows Roosevelt sitting at a desk with a pen and paper. 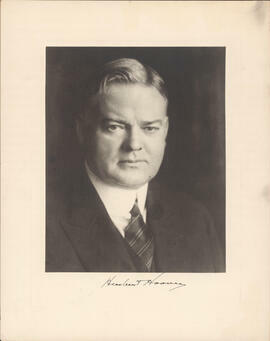 Item is a photograph of Herbert Hoover (1874-1964), President of the United States, 1929-1933. The photograph is a portrait of Hoover. Item is a photograph of Rt. Hon. 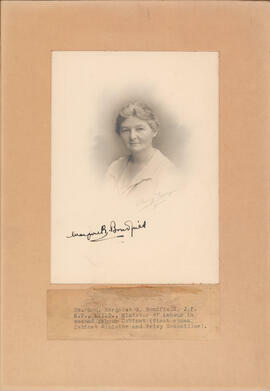 Margaret G. Bondfield, J. P., M. P., L. L. D., Minister of Labour in second Labour Cabinet, first woman Cabinet Minister and Privy Councillor, appointed Minister of Labour by Ramsay MacDonald. 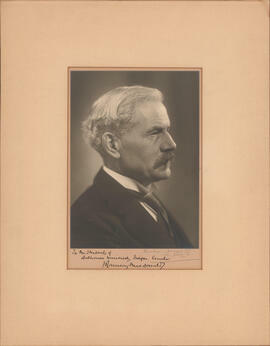 Item is a photograph of James Ramsay MacDonald, Britain's first Labour Prime Minister.